Agriculture is a tremendously booming industry that is opening immense job opportunities to the farming graduates. For the current market scenario, the farming industry pops on the top of any other business that is getting a huge profit. Most of the businesses turn toward this booming approach in order to have great business revenue. This revolutionary transformation in modern farming has come in very less time that becomes the main reason for the increased demand for farming experts to join the industry. The farming industry is one of the top most industry that renders a lot of future opportunities for those graduates. The aspirants with proper farming knowledge offered by well-structured Agricultural Courses has better career scope in this industry. Thus, for the students who are willing to become a part of this tremendously booming industry, B.sc Hons Agriculture – a 4-year degree course is the most prominent option available in India. There are many farming colleges available in India that offers farming courses – covering all major aspect of modern agriculture techniques. Which College is Best for you? Better Learning Environment ​– For every course study, the learning environment is the major key that directly effects the net results of what you have achieved in your time. So a college that focuses on better learning environment will surely have a better result for a long time. 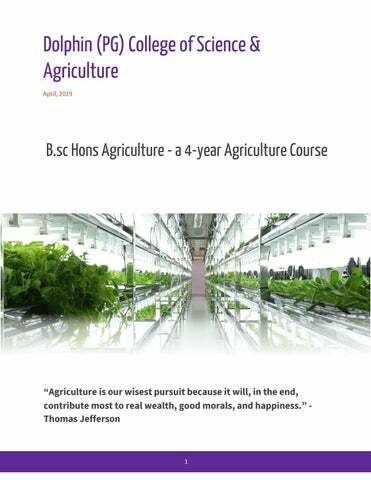 Relevant Course Structure ​– Different universities leads to a different farming approach. But only some of them provide absolute criteria that render a better farming insight. So certainly read the course criteria – must be starting from the basics and lead to advanced farming techniques before getting admission to the college. Affiliation ​– The college you choose for your graduation, must be affiliated to a recognized body so that the degree you earn can be acceptable globally making you able to become a valuable part of prime farming industries of India as well as across the globe. Well-equipped Labs – ​As farming is a field that majorly depends on your practical knowledge. A student with better practical has more demand than any other. Thus, you must take look at the labs – equipped with the absolute instrument for your day to day practice – should be a part of your college. Campus Placement –​ For better and easy career growth, you must go with a college that renders assured opportunity of campus placement. For certainty, one must check the previous record of college that how much-reputed companies visit the college for placement. 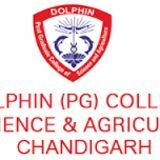 Dolphin(PG) College ​of Science and Agriculture – one of the finest ​BSc Agricultural College that meets your specific obligations. Our college has ambitious plans to prepare students for global markets demands, nurture them and hone their skills for the world’s highest potential big business entrepreneurs.